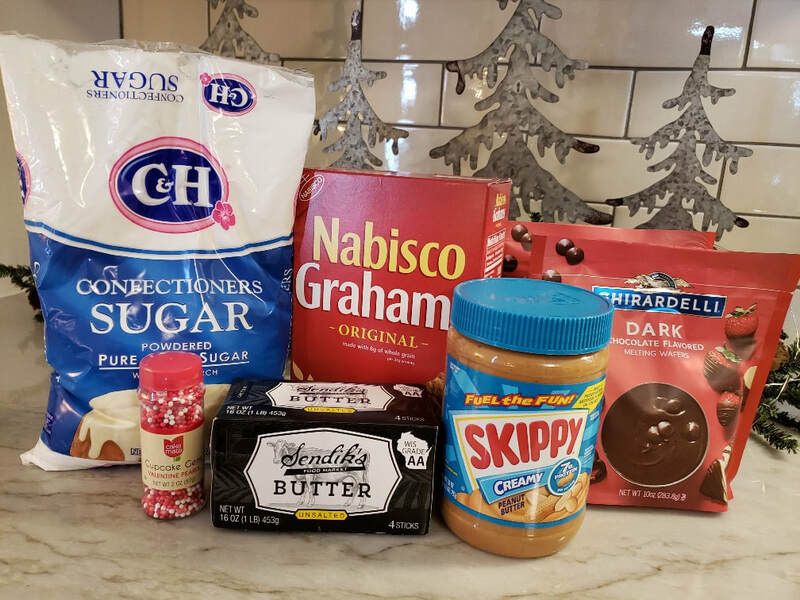 In a large bowl, mix together the peanut butter, graham crackers, powdered sugar and melted butter. Place in the refrigerator to chill for one hour. Form into equal sized balls, around 40. Place them back in the refrigerator while you melt the chocolate wafers in the microwave. Lay out a large piece of parchment paper on your counter top. 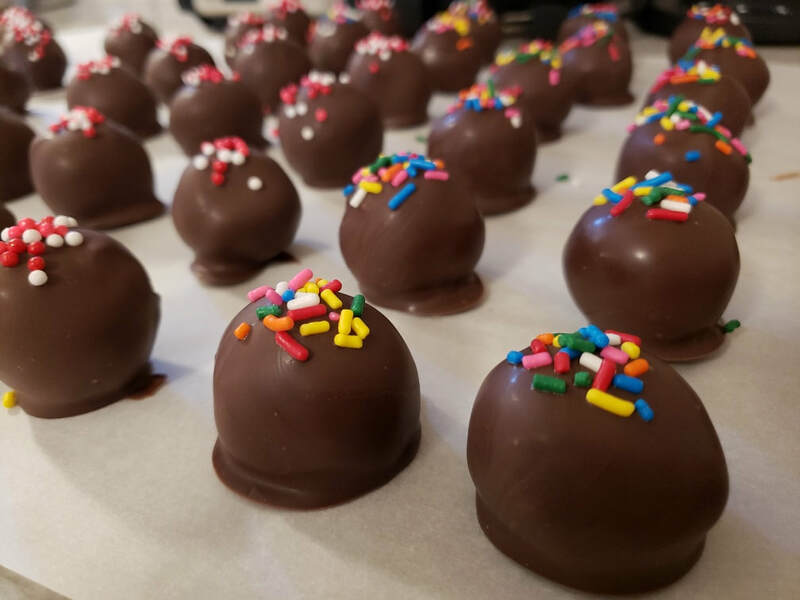 Dunk the balls into the chocolate and place on the parchment paper. Decorate with assorted jimmies or sprinkles.